If you’ve spent any time at all on online casino sites, you will have likely noticed that most places have a section called ‘live casino’. These sections are dedicated to living dealer games that seek to recreate the experience of a ‘real’, brick-and-mortar casino while combining it with the sheer convenience of online casino games. 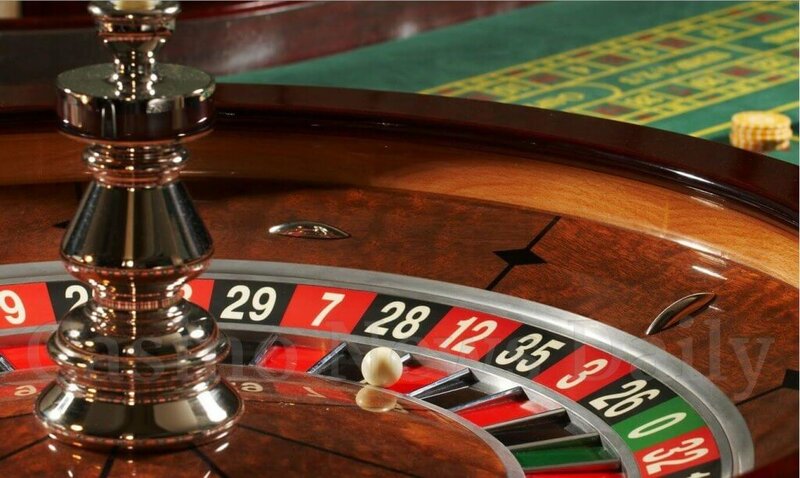 When you play online live casino games such as roulette, blackjack or baccarat, you’ll get to interact with often highly attractive female dealers or sharp-suited men and immerse yourself in an atmosphere not unlike that of a genuine casino, but without the need to don a tuxedo yourself. Below, we’ve compiled the complete live casino guide to help you get started. For one thing, these games really are live, streaming footage from what appears to be an actual casino, rather than the simplistic graphics that you might be used to from non-live games. It is important to acknowledge that there’s still a level of artifice here: most live dealer games that you’ll find online are shot on a custom-built set instead of an actual gambling venue. Such ‘fakery’ is partly the case because of sheer necessity – given all of the cameras that are needed to give gamblers the best view of both the dealer and cards, it would probably be quite disruptive to players who are at the casino ‘in person’ if the attempt was made to film in a real venue. Nonetheless, today’s live casino technology otherwise enables these games to operate in a somewhat realistic way. The dealer shuffles the packs and serves out the cards, much as is the case in a genuine casino, so there’s no need for the Random Number Generator (RNG) technology that non-live games use to determine gaming outcomes. Live dealer games are a great example of how the best of both technology and the ‘real life’ human experience can be brought together to create a gaming experience that is both realistic and convenient. The level of interaction that such games enable you to have with the dealers, for example, is continually evolving and differs depending on the live casino software provider. In some live dealer games, the dealer may mainly act as a host for the live action, whereas in others, there may be a chat window in which you type and send a message to which the dealer responds verbally. One of the things that it is most vital to understand about live casino technology is that it is not the actual casino site on which you are playing – such as Betway Casino or Royal Panda – that provides the software. That is instead the job of whatever third-party software supplier the site is using. As you will soon discover once you’ve spent time on more than a few casino sites, there’s a relatively small number of live casino technology providers out there, powering a vast and continually expanding range of places that have a live casino section. This means that if you fancy a change from one site’s live casino experience and therefore decide to switch to a new website, you may find yourself using the same software, seeing the same dealers and having much the same experience. So, if you really do want to have a different live casino experience to that provided by your current choice of casino site, you should check what software provider they’re using first. Evolution Gaming is an especially ubiquitous provider of software for live dealer games these days, but the likes of Microgaming and Playtech have also been known to cater to gamblers in this area. The gaming types that lend themselves best to live dealer games tend to be those with the fastest game flow and most straightforward betting decisions. Below are some of the games that you are most likely to see offered in the ‘live casino’ section of your favourite casino site. Poker, which tends to be based on casino hold’em, this in itself a variant of Texas hold’em. It features a flop, turn and river but it is playing against the house, rather than playing against multiple other players. As with other live casino games, you can expect minimum bets to be higher than in the non-live games. Live casino games have already been around for too long and enjoyed too much-sustained popularity to be seen as a mere ‘passing craze’, and indeed, they look set to continue evolving to help make players feel closer to a realistic experience. Touchscreen technology could be a big thing in the live dealer games of the future, while many of the leading casino online portals also now offer live casino sections in their smartphone and tablet apps, meaning that the above games can be enjoyed even ‘on the go’. Increasingly fast Internet connections should also help to make the live casino experience a more convenient one for more and more people with the passing years. Compare the most popular providers of live dealer games with Top 10 Casinos, and you could be enjoying an extraordinarily realistic and immersive ‘ live’ experience much sooner than you think Join the BEST CASINO ONLINE to won cash money today!